Oyinade got back to her office groggily. She had developed a splitting headache immediately she got that shocking message from Doctor Felix. complicated whenever she arrived at a little level of victory. a sober face; none of these were to happen though. She can’t be pregnant, she hummed in her head. Not when she had already gone this far. her stressful banking job when she was expecting Patricia. to handle & Tony,who had been on her tail as to leaving the job, had forced her to resign when she was heavy. biggest and most patronized of all the boutiques around. They couldn’t afford to run out of stock. she felt something was going on with her. decided to go over to BRP Hospital. always gave him the upper hand considering his athletic build. “I said, what in Hades are you doing here? she asked her oga at the top. he replied not facing her. ascertain that his two feets were firmly rooted, then glared. back and left him there, foaming. thinking her eyes might be betraying her. 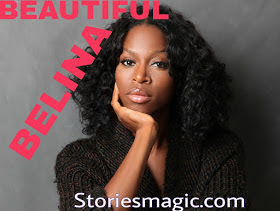 0 Response to "STORY: BEAUTIFUL BELINA(Season 2,Episode 20)"